Disturbing film worth the considerable effort it takes to watch. 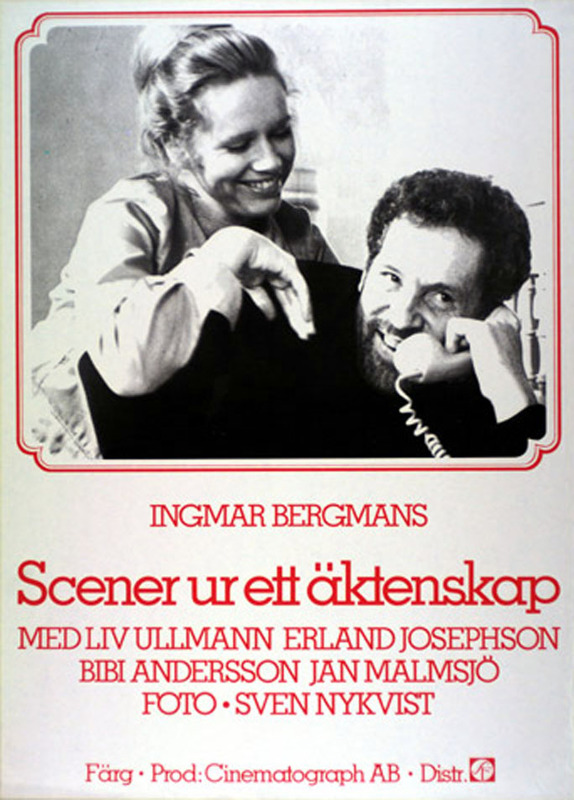 I haven't seen a great deal of Ingmar Bergman's work, but I doubt if he ever made another film quite like this one. Although he may have looked at intimate relationships before, I wouldn't think he had done it in such a naked manner. There are no abstractions or representations here, just basic camerawork, usually from one talking head to another, mostly in tight shots or close-ups of the two principals, who are in practically every frame of the film. There's hardly an exterior shot in the whole movie, appropriate since we're dealing with emotions and inner feelings. Bergman the director is not so much the prime figure in this film as is Bergman the writer. 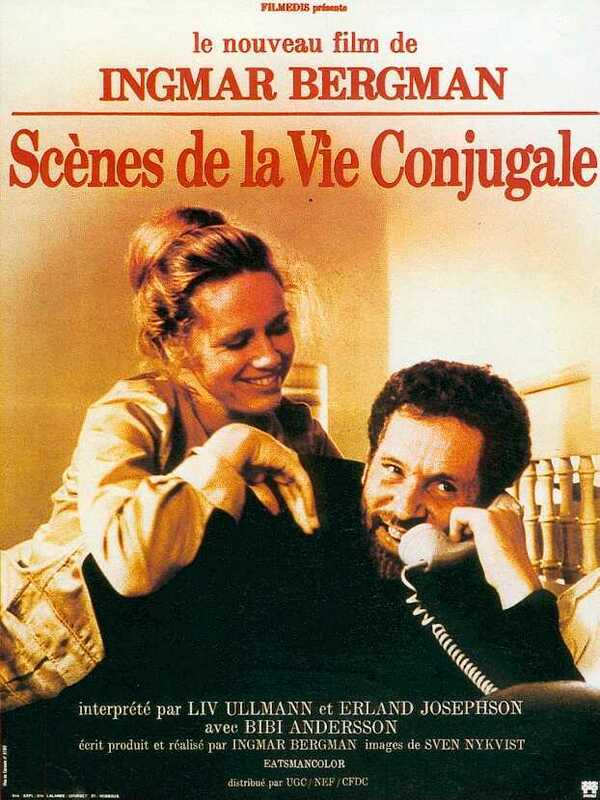 The movie is literally what its title says--several long scenes of a husband and wife (played by Erland Josephson and Liv Ullman) at various stages in their marriage, which is ten years old when we first see them. Through these long takes we witness the tangible beginnings of the deterioration of their relationship, then follow it through its various up-and-down stages. The form of the film, being mostly dialog with little action, forces an intimacy with the viewer also, especially if you are watching with subtitles, since you can hardly afford to take your eyes off the screen for a moment. 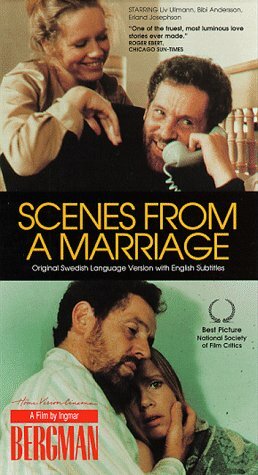 What is Bergman trying to tell us about Johan and Marianne, and about all married couples? In spite of all we see, it's still hard to answer. On one hand the two seem to live up to the old cliche about people who can't live with and can't live without each other. On the other hand the epilogue scene seems to indicate that if the couple had made the effort to work harder at their relationship, the years would have been much happier. Just as in real life, answers don't come easily. This may be the ultimate relationship film, though not necessarily the best. It's not an easy journey to make, but one that is worthwhile throughout and another testament to a great filmmaker's wide-ranging talent.